Asthma can make life difficult if you do not know how to act. Bronchial asthma is one of the most common respiratory diseases in children. It is estimated that every 10th child suffers from it in developed countries. At the root of this disease lies the over-reactivity of the bronchi, i.e. excessive tendency to contraction, which causes symptoms in the form of recurrent attacks of dyspnea and cough. Inhalation therapy in the course of asthma is used to prevent dyspnoea attacks, because in severe and prolonged attacks of breathlessness the child is unable to aspirate the aerosol deep enough into the bronchi. The effectiveness of dry salt aerosol inhalation in children after and between seizure is estimated at 75-85%. 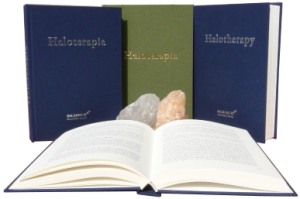 Halotherapy is better used prophylactically, not in acute condition. By making friends with halotherapy, we can count on a significant improvement in health. There are many cases of total discontinuation of pharmaceuticals.